"Sequins" is a deeply embossed, expanded vinyl supported with a strong knit backing. It is 53" wide and available from stock in black and white. 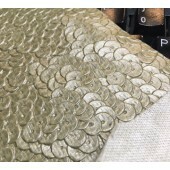 *Custom colors available in minimum of only two roll/120 yards. 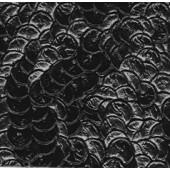 "Sequins" will meet or exceed all ACT Standards for upholstery fabric and can be produced to comply with CA Prop 65. 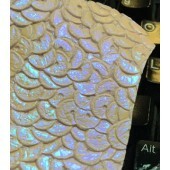 Also available in mylar or transfer metallic laminates of gold, silver, bronze or pewter. *Refer to Marshmallow color card for color choices.